The Weekend Gourmet: Ditch the Winter Blahs Menu...Featuring TexaSweet Rio Star Grapefruit! 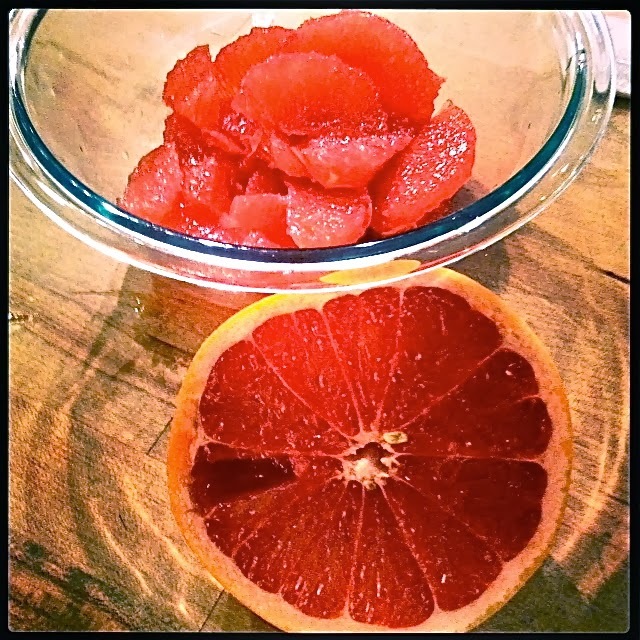 Ditch the Winter Blahs Menu...Featuring TexaSweet Rio Star Grapefruit! We're having an unusually cool Winter here in Texas...many blustery afternoons in the 30s and even -- gasp -- a couple of icy mornings. My friends in other parts of the country may be laughing, but us Texans are just not equipped to deal with Arctic Blasts. We're much more accustomed to long, hot Summers with temps hovering at or above 100 degrees. I recently devised a Texas citrus-themed menu that perked me up and had me looking forward to Spring! TexaSweet Citrus Marketing invited me to attend a Citrus Workshop at Central Market here in San Antonio. We learned how to make lots of great dishes that feature sweet and juicy Texas citrus, including oranges and Rio Star Grapefruit. If you haven't had Rio Star, be on the lookout for them! Before this class, I wasn't a big fan of grapefruit. However, Rio Star changed all that...they're juicy and sweet, with a gorgeous ruby-red interior. You'll notice that a couple of the dishes in my menu use citrus sections, also called supremes. If you've never sectioned citrus before, it can be a little intimidating...but it's really easy once you know a few tricks. During our workshop, we learned how to section grapefruit. With a little practice -- and a sharp knife -- it's a snap! All of these dishes are also a snap to prepare, especially the refreshing and versatile Vanilla-Citrus Compote. It can be served over pound cake, but I opted to serve it over crisp Belgian waffles. To save time, I sectioned the oranges and grapefruit the evening before and stored the sections in airtight containers in the fridge. I also made the glaze for the chicken a day ahead. This advance prep allowed me to have the entire meal ready to serve in about 45 minutes this weekend. My grilled chicken originally called for jumbo shrimp, but I opted to use locally sourced chicken breast instead. The glaze is slightly sweet from the honey, with a nice citrus kick from both citrus and juice. The colorful ramen salad is a snap to make, with a double shot of citrus and a sprinkle of crunchy toasted ramen noodles. Together, these made an excellent brunch main course. I opted for a simple sweet ending to my meal. Vanila-Citrus Compote is my spin on a recipe I found at Cooking Light. I subbed pineapple for papaya and added vanilla bean to the citrus simple syrup that the fruit is tossed in. I also reduced the amount of simple syrup so the natural flavor of the fruit could shine through. A little toasted coconut would also make a lovely addition if you have some on hand! Step 1: Make the simple syrup by adding the sugar and water to a measuring cup. Microwave for 1.5 minutes, until the water is boiling. Stir until the sugar is dissolved into the water. Add the zest and vanilla beans and stir to incorporate into the syrup. Set aside until slightly cooled. Step 2: Place the fruit in a large bowl. Pour the simple syrup over and stir. Be gentle so you don't break up the citrus supremes! Cover and refrigerate for 15 minutes, to allow the flavors to combine. Place the compote in a serving bowl. I served the compote over warm Belgian waffles, topped with a bit of whipped cream. This compote is bursting with tropical fruit flavor, and the vanilla provides a nice warmth in the background. The citrus syrup doesn't overpower the fruit with sweetness, letting its natural fruit flavor shine through. This compote would also be fantastic served over pound cake or shortcake. Any leftovers are also great with Greek yogurt and granola the next morning. Make sure to come back here on Wednesday, when I'll be sharing the recipe for the delicious smoothie that I featured on my menu. 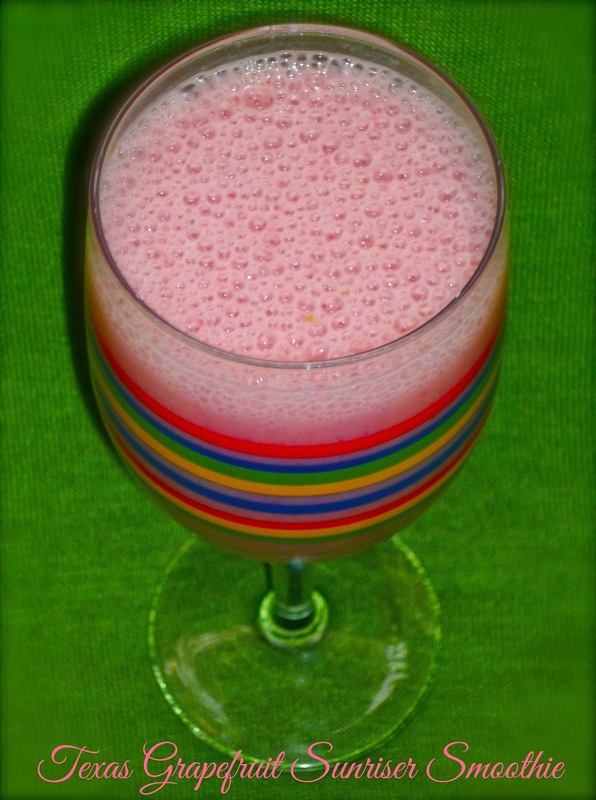 It's bursting with fruit flavor, and the color will knock your socks off! Disclosure: TexaSweet provided me with a Central Market gift card to purchase the ingredients for the recipes featured in this article. I received no further compensation, and all opinions expressed are my own.